Legendary investors such as Leon Cooperman and Seth Klarman earn enormous amounts of money for themselves and their investors by doing in-depth research on small-cap stocks that big brokerage houses don’t publish. Small cap stocks -especially when they are screened well- can generate substantial outperformance versus a boring index fund. That’s why we analyze the activity of those successful funds in these small-cap stocks. In the following paragraphs, we analyze Ryerson Holding Corp (NYSE:RYI) from the perspective of those successful funds. Is Ryerson Holding Corp (NYSE:RYI) ready to rally soon? Prominent investors are genuinely in a bullish mood. The number of bullish hedge fund positions that are disclosed in regulatory 13F filings improved by 4 lately. RYI was in 14 hedge funds’ portfolios at the end of the third quarter of 2016. 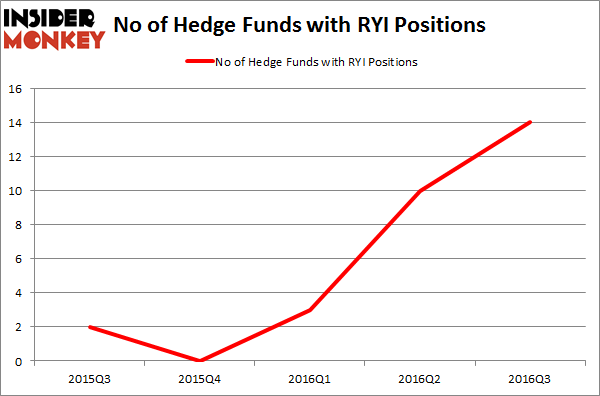 There were 10 hedge funds in our database with RYI positions at the end of the previous quarter. At the end of this article we will also compare RYI to other stocks including Daktronics, Inc. (NASDAQ:DAKT), China Online Education Group ADR (NYSE:COE), and Entellus Medical Inc (NASDAQ:ENTL) to get a better sense of its popularity. With all of this in mind, let’s take a glance at the recent action surrounding Ryerson Holding Corp (NYSE:RYI). What have hedge funds been doing with Ryerson Holding Corp (NYSE:RYI)? Heading into the fourth quarter of 2016, a total of 14 of the hedge funds tracked by Insider Monkey were long this stock, an increase of 40% from the second quarter of 2016. Below, you can check out the change in hedge fund sentiment towards RYI over the last 5 quarters. With hedgies’ sentiment swirling, there exists an “upper tier” of key hedge fund managers who were boosting their holdings considerably (or already accumulated large positions). According to Insider Monkey’s hedge fund database, Cliff Asness’ AQR Capital Management has the largest position in Ryerson Holding Corp (NYSE:RYI), worth close to $12.1 million, corresponding to less than 0.1% of its total 13F portfolio. Coming in second is Renaissance Technologies, one of the largest hedge funds in the world, holding a $9.9 million position; the fund has less than 0.1% of its 13F portfolio invested in the stock. Remaining peers that are bullish comprise John Overdeck and David Siegel’s Two Sigma Advisors, D.E. Shaw’s D E Shaw, and Ken Griffin’s Citadel Investment Group. We should note that none of these hedge funds are among our list of the 100 best performing hedge funds which is based on the performance of their 13F long positions in non-microcap stocks. Is Vitamin Shoppe Inc (VSI) Going to Burn These Hedge Funds? Is It Time to Buy Ultra Clean Holdings Inc (UCTT)? Smart Money Thinks So. Is Cabot Corp (CBT) A Good Stock to Buy? 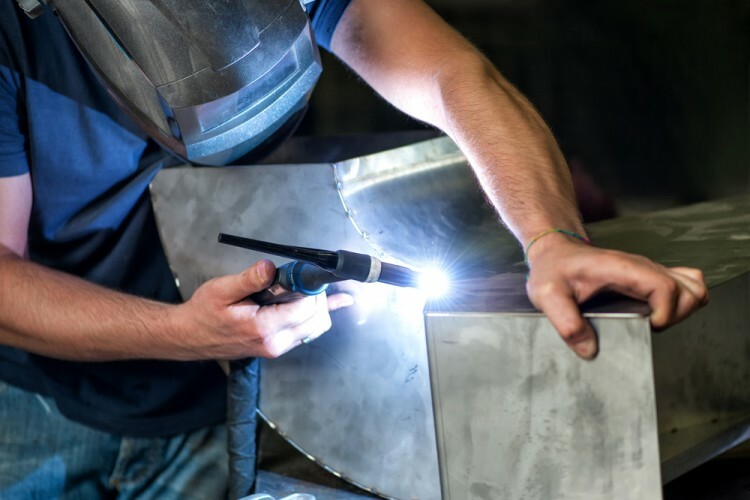 Vince Holding Corp (VNCE): Hedge Funds Keep Heading Elsewhere Helen of Troy Limited (HELE): 73% Surge in Smart Money Ownership; What’... Should You Get Out of UniFirst Corp (UNF) Now? Hedge Funds Are.